And there we go again. 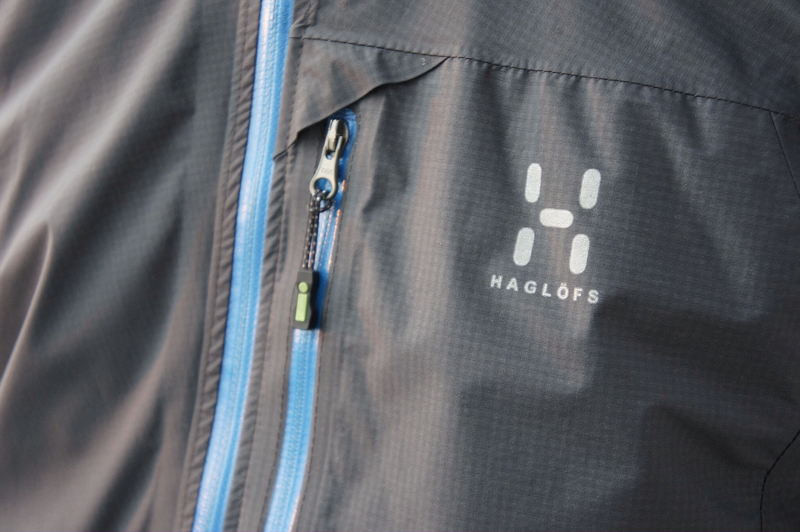 A brethable hardshell for the UL community, brought to you by the chaps from Haglöfs in Sweden. The OZO Pullover is from Haglöfs' intense series, made for trailrunners, fast & light mountaineering folks and of course us, the UL backpacker. It would thus be rude of me to not check it out, even more so as they're neighbours. Hello, my name is Hendrik and I am an Ultralight backpacker. My Haglöfs OZO weighs 196 g in Size S, it has a fine graphite colour with blue details. It ain't black but I like it nevertheless. What has it to offer? 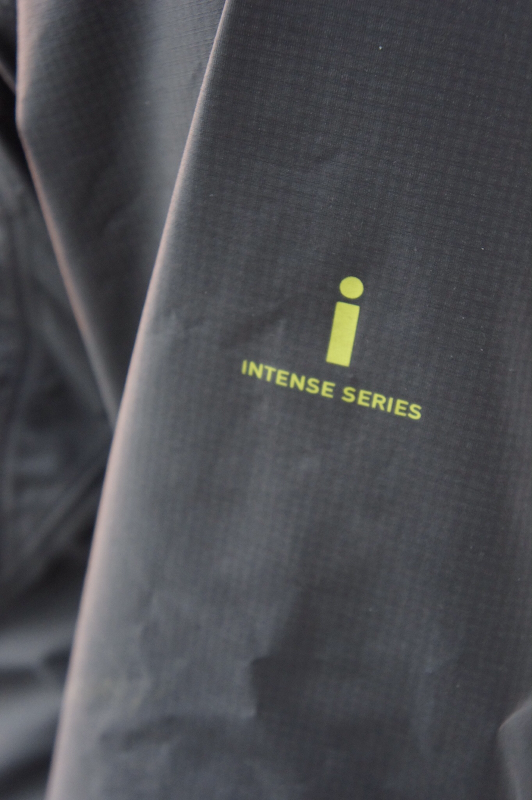 It is made of Gore-Tex Paclite, has an outstanding hood and visor, a huge front pocket, a deep front zipper, and thumbloops. Yes, thumbloops, those highly practical details on a range of garments. I like them. Joe doesn't. Perfect, this is how hoods and visors should look like! Lets start with the hood. I have a bunch of jackets with hoods in all kind of shapes and sizes, but the OZO has by far the best. Very well designed, it hugs your head nicely, the visor is massive and keeps wind, snow, rain at bay. Yeah, this is how hoods and visors need to be. I am not sure if a mountaineering helmet can fit under it, tough. Anyhow. Other manufacturers, please buy a OZO and be inspired by their hood design - you can learn a lot. The pocket is as big as on the Rab Demand Pull-On, as I often wear pants without pockets I need to store essentials like my puukko, map, compass and a chocolate bar in my jacket's pocket. The OZO pocket is big enough for that, with some room to spare. As with the other pullover, put your phone in a waterproof bag if you carry it in there and it will be fine. Gore-Tex Paclite then. 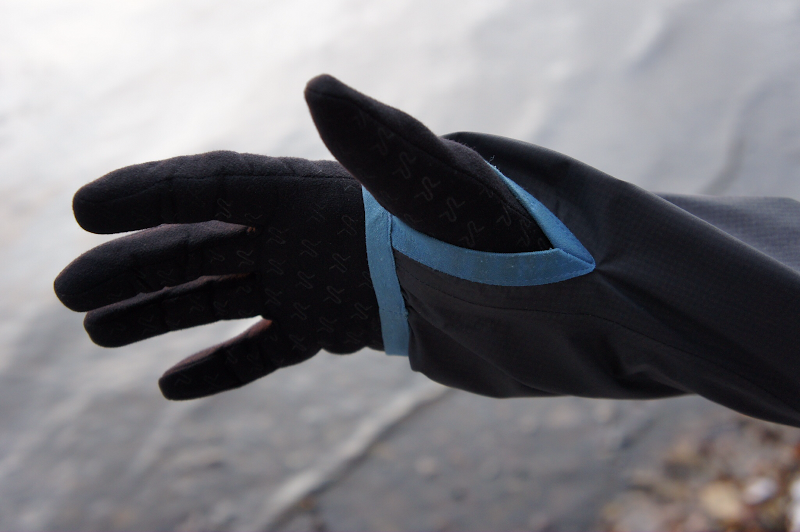 It keeps rain, snow and wind out, and is very breathable. As breathable as eVent? I really can't say. I didn't have any problems with it getting sweaty and moist inside, and I do perspire a lot. I was considering doing a bit of a scientific study with both garments in the sauna, but decided against it. If I am hardpress to decide on one, I might say eVent is a tad more breathable. The cut on the OZO is even better than the Demand, in my opnion, the back is nice long, it's a good tight fit but allows for puffy insulation to be worn underneath it. The long back allows for supreme protection of my back, but I yet have to find a jacket or pullover which stays in place - they always seem to travel a bit up. The drawcord in the hem is good, as are the elastic cuffs with thumbloops. Yeah, I like them thumbloops, a bit of keeping the jacket in place when moving and a bit of additional protection are always welcome. 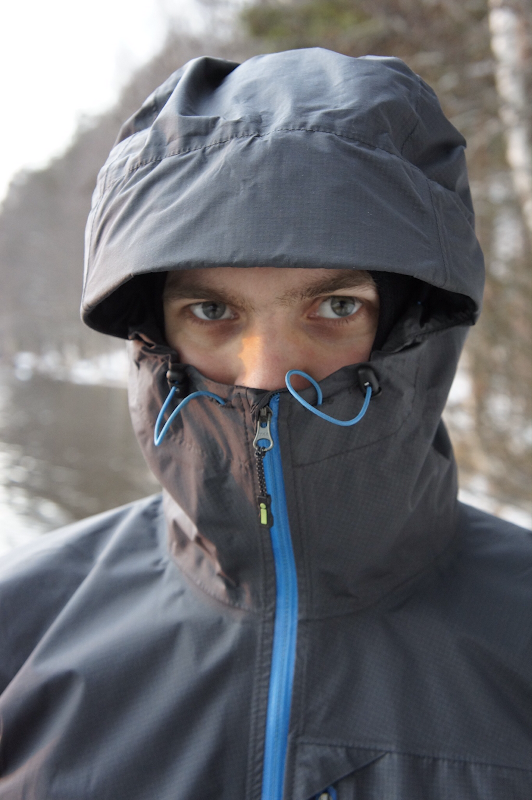 So it is lighter than the Demand, a good 56 g in Size S, has a superior hood, thumbloops, but is not as breathable than the Demand (enjoy that with a tad of salt, YMMV). It is also nearly a Euro/ Dollar/ Pound per gram saved more expensive than the Demand, but given that Haglöfs has a superior sustainablity approach to business than Rab (which, we remember, has none Edit: See comments, click here), that might be worth it for some - for me it is. 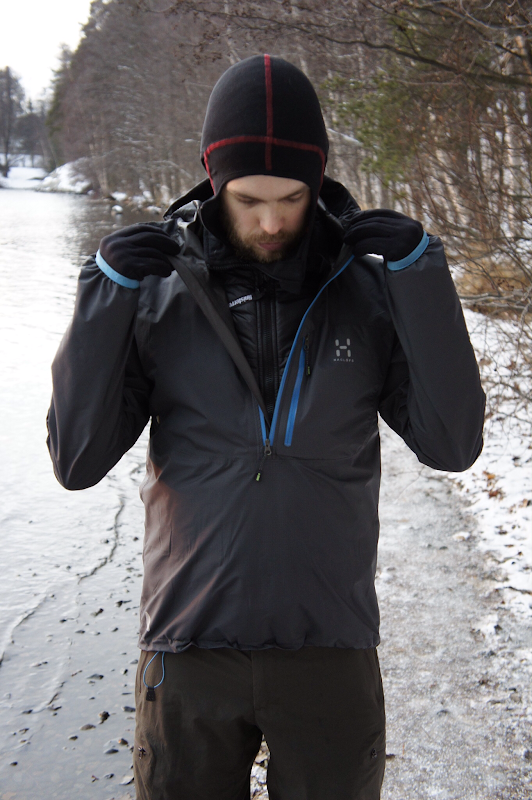 I can't think of shortcomings of the OZO; though I have heard from some friends who have made not-so-good experiences with Gore-Tex Paclite, those are welcome to speak up in the comments (play nice!). Keep away from fire, treat it carefully as all your UL gear - though as I was running through the undergrowth on my orienteering exam, it withstood it all. Improvements, well, the drawcord closing thingy on the hem could be a bit stronger, it seems to be too UL to do the job properly. Otherwise it gets from me two thumbs up (through the thumbloops, of course!). 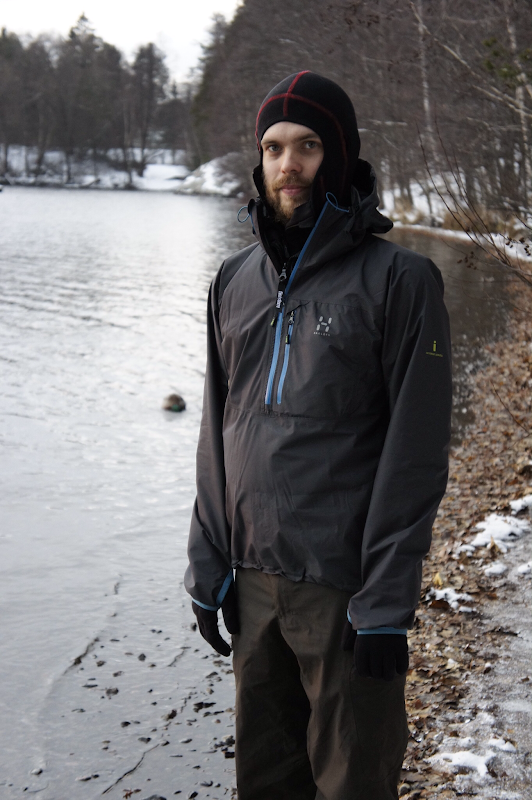 The guys at the Outdoor Warehouse have the Haglöfs OZO Pullover on offer, with a 10% Discount. If you want to check the OZO out in a shop, check Haglöfs' list of Retailers for one near you.